I mentioned in a recent previous post that I was considering starting Tot School with Baby J and I think we are almost there! We just put new shelves up in our playroom and it’s currently “under construction” to rearrange the furniture, and organize all of the tot school materials. I think the room should be ready to go after the weekend. So, I’m not sure if I can say that we have been doing “proper” Tot School this week, but we have been doing lots of fun new learning activities…which really is the whole point of Tot School, so maybe we are doing it? We are not yet focusing on a specific topic, but rather just exposing Baby J to a variety of colors, textures, and materials. He seems to really be enjoying it! As we get further into this adventure, we will start having more focused activities. I went to Target earlier today (what else is new?!) 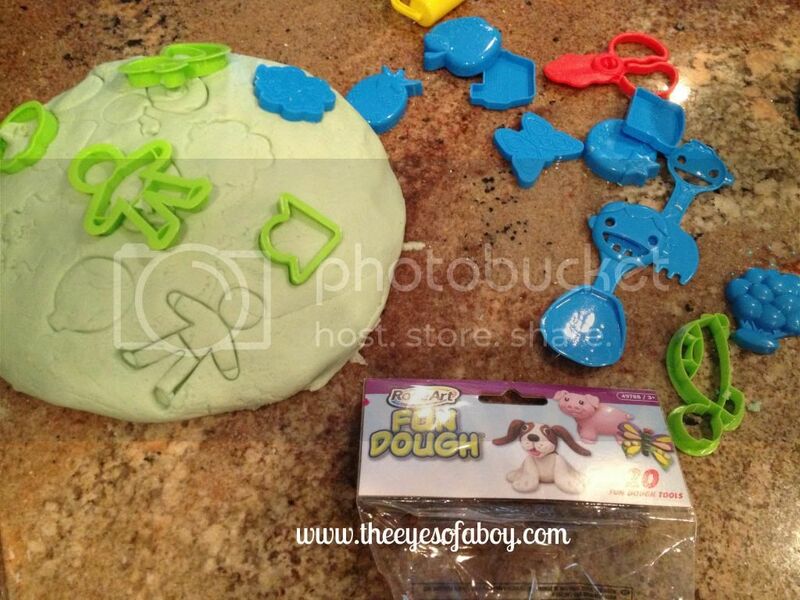 and I was browsing the dollar bins, and found these super cute play dough cookie cutter things for $1. I obviously couldn’t resist such a great deal haha, and decided to make play dough when I got home. I followed this recipe. To be honest, I didn’t like the smell of the dough from the cream of tartar and will definitely leave it out next time. I used food dye and it turned out a very pale bluish-green. I really thought it was going to be a big hit with Baby J….uhhhh, no. 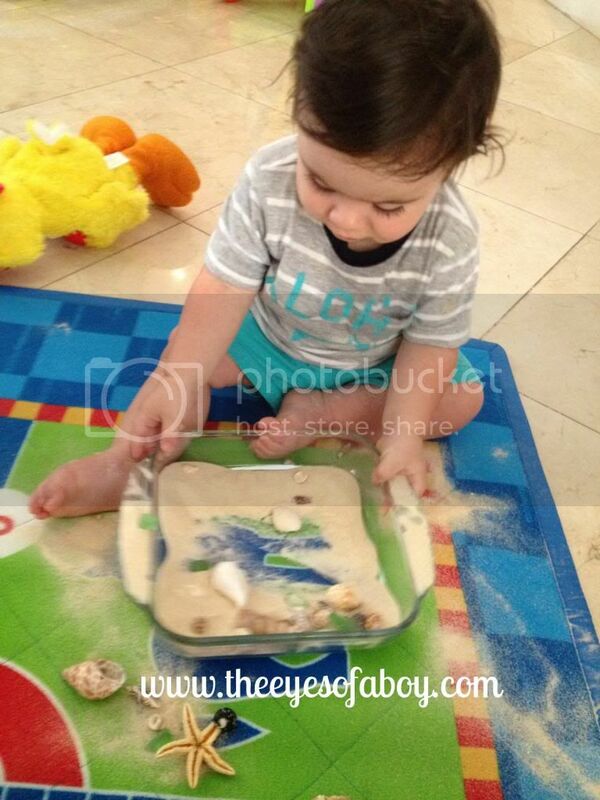 To say he hated it would be very strong…but he strongly disliked the play dough. He touched it a few times, then he decided he was disgusted by it. The faces he made were pretty funny. He would stick his finger in it, then look at me in a sort-of horrified way. He did pick the cookie cutters out of it to play with though. While I was cleaning up, I put the dough in Ziploc bags, and he did like to squish the play dough behind the protective barrier of the plastic bag. I will try again another day to see if he has a better relationship with the playdough 🙂 I’ll probably alter the recipe to make it a little less sticky, and better smelling. « He finally said it! 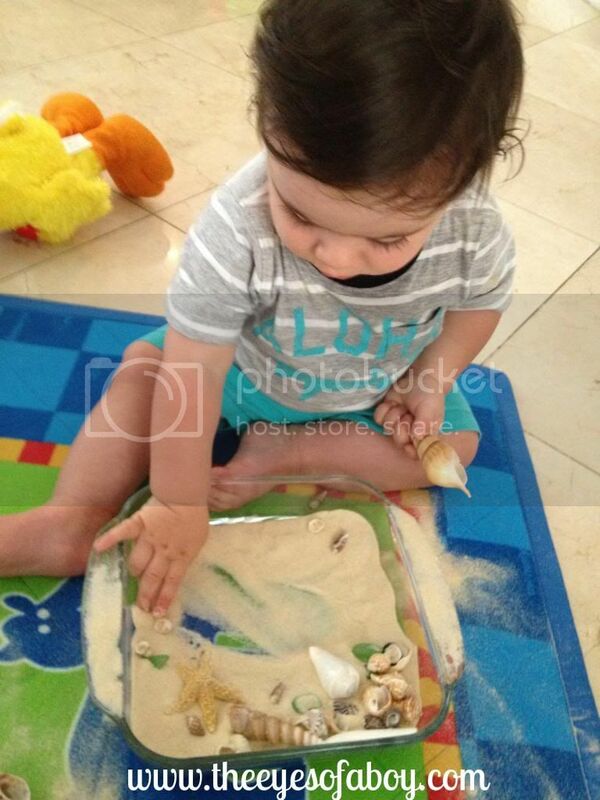 The sand and shells activity looks like a lot of fun! 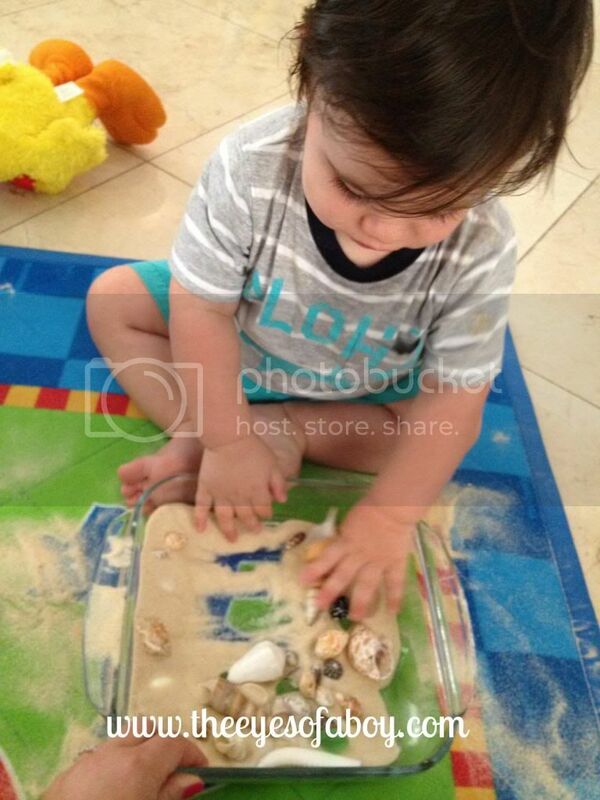 My daughter must be close to the same age as your son, she just recently began doing Tot School type activities too. It&#39;s so much fun watching them explore their surroundings and learn new skills. 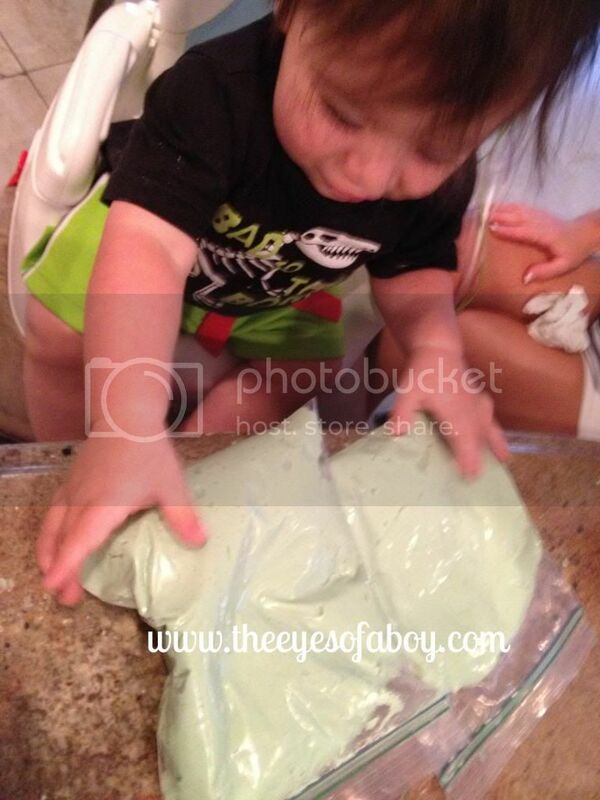 I have a great smelling play dough recipe you should try. http://ourtotschooljourney.blogspot.com/p/make-it.html Hope it helps! Looks like your Tiny Tot had a great first week of Tot School!